The Turkic Bulgars appeared in the sixth century, first as a rump of the so-called Old Bulgarian Empire, the Kutrigurs, defeated by Belisarius outside Constantinople in 559, settled north of the Danube and were absorbed by the Avars. Following the collapse of Avar power in the eighth century, new Bulgar arrivals and existing elites in Transdanubia gradually formed the Bulgar khanate, which adopted Slavic language and customs. 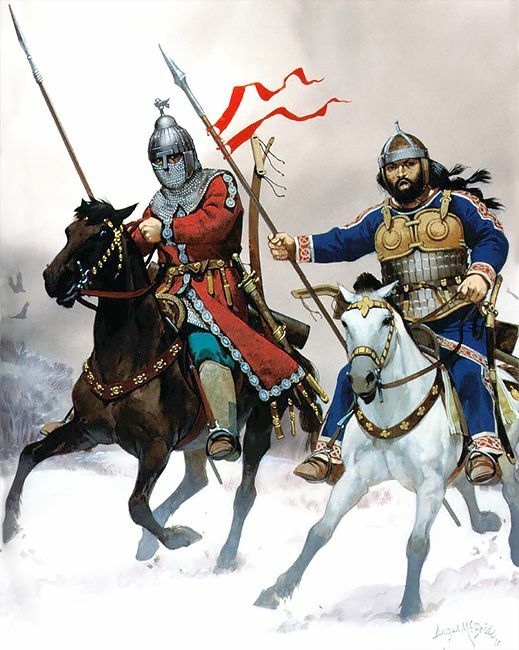 Given their cultural origins in the Eurasian steppe, it is unsurprising that throughout the medieval period the Bulgarian social elite fought mostly as heavy armed cavalry lancers. Bulgaria formed the most important state to the north of the empire. Though there were long stretches of peace between the two peoples and even alliance, Byzantine-Bulgar relations were strained by their fundamental conflicting goals—both empires sought to dominate the Balkans and each considered the presence of the other unacceptable. Thus the Bulgars sought to capture Constantinople or subjugate the Byzantines militarily, while the latter sought to contain or even annex Bulgaria outright. Initially the Bulgars organized themselves along the lines of most steppe empires, with “inner” and “outer” tribes whose power relationships were articulated through marriage alliances, genealogies, and material exchange. Beneath the outer tribes in the pecking order were subject groups like Slavs, Greeks, and the mélange of Avar, Hunnic, and Germanic remnants that rendered the rich cultural matrix of the Danube basin. The khan stood at the pinnacle of an increasingly sophisticated hierarchy that developed under steppe and Byzantine influence. Senior “inner” nobles, called boilas (often Anglicized as “boyar”), and junior “outer” nobles, bagains, formed the elite of the Bulgar state and provided both the military leadership and elite troops of the khanate. The Bulgars matched their Byzantine foe with a strong hierarchical military organization with the khan in overall command while his leading generals, the tarqan, commanded his administrative regional center and presumably took the center of the battle line as well. The targan’s subordinates included komites (sing. komes), after Byzantine usage, who commanded the wings of the army. The highest-ranking Bulgar nobles were heavily equipped cavalry with barded mounts and relied on heavy household cavalry and lighter armed horse archers as did their steppe nomad ancestors. The Bulgars employed mass conscription to fill out the ranks for their armies. Fear was the main tool used to compel men to enlist and show up equipped for the occasion. Khan Boris Michael (d. 907) ordered that men who arrived for muster without proper equipment or unprepared for campaign were to be executed, as were those who deserted before or during battle. The rank and file included many Slavs who fought as light infantry, carrying shields and javelins. Bulgar cavalry resembled both their Byzantine enemy and other steppe nomads. The Bulgars were expert in their use of terrain, relying on ambush and surprise in their confrontation with the enemy. They demonstrated a high level of strategic planning, strong discipline, and military cohesion, and on numerous occasions were able to confront and defeat imperial field armies, as they did at Varbica in 811 when they trapped a large force led by the emperor Nikephoros I and destroyed it by hemming the Byzantines against a wooden palisade and surrounding it. The emperor himself was killed and his heir mortally wounded. The Bulgars were intimately acquainted with Byzantine military strategy and tactics and, unlike the fragmented Arab emirates to the east, formed a more unified foe unbowed by the shock of repeated defeats. The Byzantines dealt with the Bulgars via a full range of economic, diplomatic, and military strategies. Trade was limited by treaty to designated zones and monitored by imperial officials. Spies were maintained at the Bulgar court at Pliska; the Bulgar khan Telerig (768–77) tricked the emperor into revealing the identity of Byzantine agents among the Bulgars by the ruse of his promised defection, then slaughtered those in the pay of the empire. Byzantine failures against the Bulgars were often due to weakness in strategic and battlefield intelligence that resulted in the surprise of imperial field forces. Experienced and cautious commanders found warfare in Bulgaria perilous. Thus, in the ongoing dispute over control of lands in Thrace and Mesembria on the Black Sea coast, the emperor Nikephoros II Phokas mounted a brief campaign in which he found the Bulgars’ skillful use of the mountainous terrain and difficulties of supply and communication hard to overcome. Nikephoros therefore induced Sviatoslav I of Kiev to invade Bulgaria; the Rus’ captured scores of Bulgarian towns and fortresses and overwhelmed Bulgar resistance, which led to a direct confrontation between the Rus’ and their new Bulgar subjects and Byzantium. John I Tzimiskes’s defeat of the Rus’ at Dorostolon in 971 opened the way for Byzantine annexation of Bulgaria. The subjugation of Bulgaria took decades, however, with persistent and arduous campaigning by the emperor Basil II, who reduced each quarter of the Bulgar state through sieges and attrition, finally grinding down Bulgar resistance. 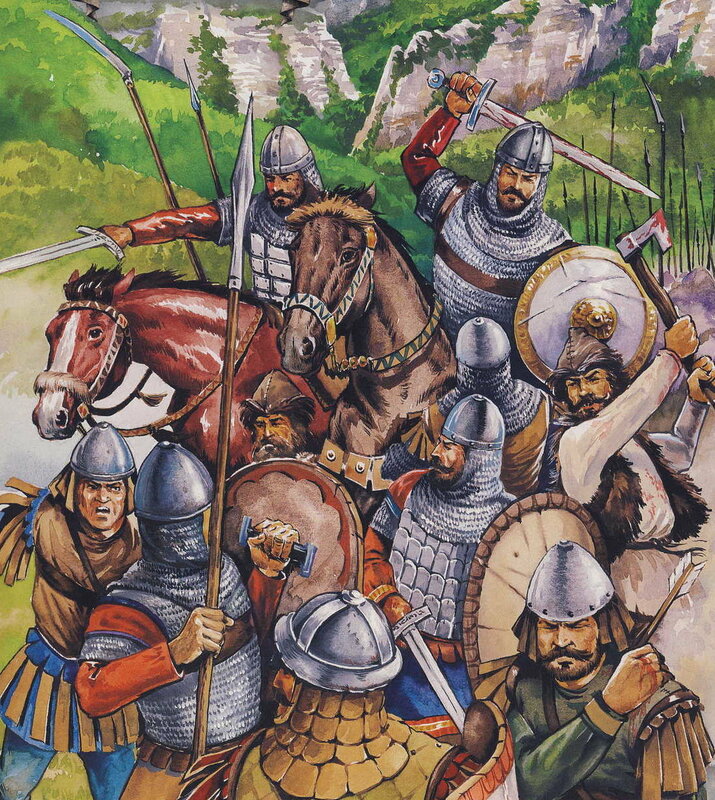 Bulgaria provided another test for Byzantine strategies of attritive warfare: imperial forces used sieges, scorched earth, and incremental capture-and-hold methods to gradually expand their bases of operations and finally wear out a formidable, skillful, and disciplined opponent. Although the empire possessed a dominant position in Bulgaria by the death of Basil II in 1025, serious resistance continued to the death of the Bulgarian tsar Peter II in 1041. Byzantine control of Bulgaria, won over decades of bitter warfare, lasted for nearly a century and a half. This entry was posted in Byzantine, Medieval by MSW. Bookmark the permalink.